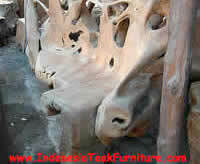 Manufacturer Exporter Company for Rustic Furniture and Handicrafts Made in Indonesia. 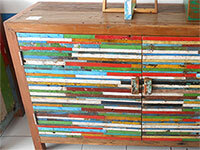 Rustic Furniture Made in Indonesia. 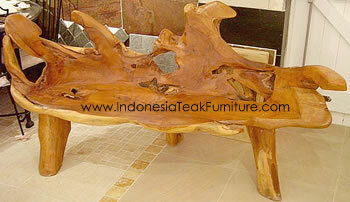 Teak Root Bench from Java. When ordering our teak root furniture, please remember that you may receive teak root furniture which a bit different from photos shown on our web site. However we always try hard to be as close as possible. We also guarantee that we will send you the same size. 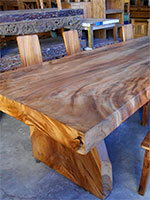 Below you will find some of our teak root tables. These are very common. 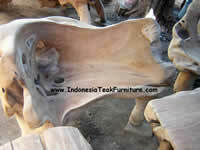 If you order these tables, we could give you almost the same teak root table with the photo (most of the time). 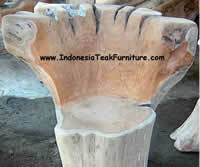 Click teak root bench furniture photo above to view large photo. 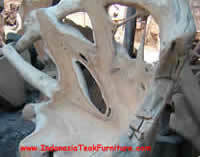 If you preferred the teak root furniture in unfinished or fine sanded only, please let us know. 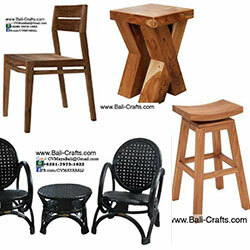 TEAK WOOD INDOOR FURNITURE & OUTDOOR GARDEN FURNITURE. TEAK WOOD PATIO. 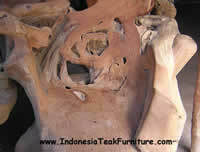 NOTE ON TEAK ROOT FURNITURE !!! 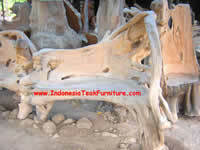 All teak root furniture here comes from legally harvested teak tree root from government controlled Perhutani plantations. NO illegal teak tree or rain forest tree. NOTICE FOR TEAK FURNITURE !!! 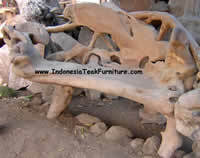 All teak root furniture here shown in unpolished condition. 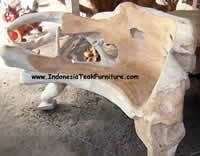 We deliver all teak root furniture in finished (sanded and polished) condition. All teak furniture delivered in ready to sell condition.